Stay cool all summer long with a new air conditioning system. Our air conditioner design team will custom design a system that is sized to fit any home and budget. All standard models come with a 5-year warranty on the compressor and energy efficient operations that will reduce you summer cooling bills. San Jose Los Altos air conditioning service: you’ll quickly discover our knowledge and expertise, responsibility to your needs and affordability. We serve the entire South Bay Area, so call us today. Air conditioning installation San Jose Los Altos—from the opening conversation we make sure your installation is smooth, affordable and an excellent purchasing experience. 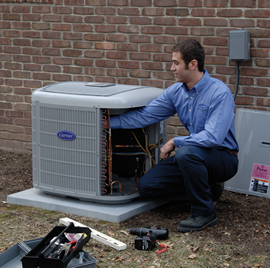 Our team of trusted professionals will design, install and service your new central air conditioner. Simply call our customer service representatives or complete our online request form. We’ll respond promptly and answer any questions you might have.